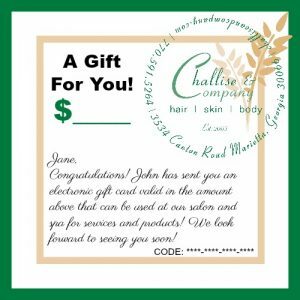 When you choose the Challise & Company Physical Gift Card, we will mail a gift card via the USPS to your recipient within 2 business days of receipt of your completed and paid order. 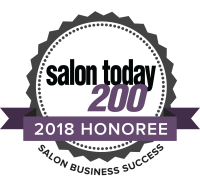 You can choose from a preset dollar amount or any amount you would like to cover a variety of services offered at the salon and spa. If you would like to pay for a particular service based on the prices listed on our website, please keep in mind that prices varie based on the nature of the service and most prices listed are starting prices. *For hair sevices final price based on intricacy of cut and/or color, length, and density of hair. Price variance may also apply due to stylist experience and education. 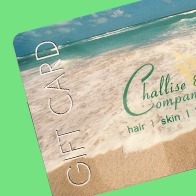 In the note section at checkout you may include a note you would like us to send along with your gift card. 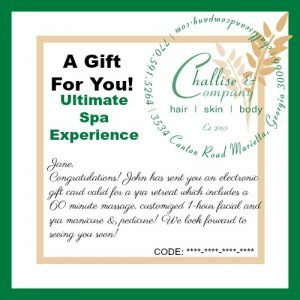 Gift cards are only redeemable in the salon. The can be used at our main salon as well as our location at Camelia Place. The card received will look like the one in the product image in the upper left corner.